So, you're an awesome property manager and for the most part, you love your career. However, being a property manager can be tough, right? However, there are ways to help you get your life back on track while providing a customer service level that decreases property owner and tenant churn (which both cost you money). Have you ever calculated a true monetary and social cost for your business for time spent answering phone calls? How about for employing staff that primarily handles phone calls? There are solutions available that can help ease your pain. One option is to get an auto-attendant answering service. Still, that's just a step below an old-school voicemail, and surveys confirm that people detest this kind of service. You could also hire someone to answer your calls, but that can prove to be very expensive. When hiring someone, there is much more than a salary to consider. According to the Bureau of Labor Statistics, the average hourly cost for compensating a private sector employee is $30.80 once all employer expenses are added in. Before you make this particular decision ask yourself, do I understand all of the IRS reporting rules applicable to employees and independent contractors? Am I ready for that paperwork nightmare? Additionally, when hiring employees or independent contractors, all market indicators point toward payroll costs exploding. Even hiring part-time staff to answer your phone calls may not be cost-effective and the golden rule, "You get what you pay for" typically applies. You may also think, I already have staff. Let’s think about that for a second. If someone on your staff is in the middle of a task, and he or she is interrupted by a leasing or maintenance phone call, how much time and enthusiasm are they really going to devote to that particular call? As good as your staff may be, no one can be in multiple places at the same time. At any given time, your staff is probably missing inbound revenue-generating leasing calls. You’ve invested your money into advertising to make your phone ring, but how effective is your company with answering the calls that come in? So, what's the best solution to solve this daily dilemma? With proper organization and the deployment of the right resources, you can keep both your tenants and property owners happy. Many property managers are using contact centers to support business phone calls. If you have decided to outsource your phone calls, you obviously still want anyone calling your office to feel as though they are calling directly into your office. You do not want them to feel like they’re calling a generic answering service. It is possible to prevent call interruptions, and you can accomplish this for less money and headache than hiring or allocating staff. 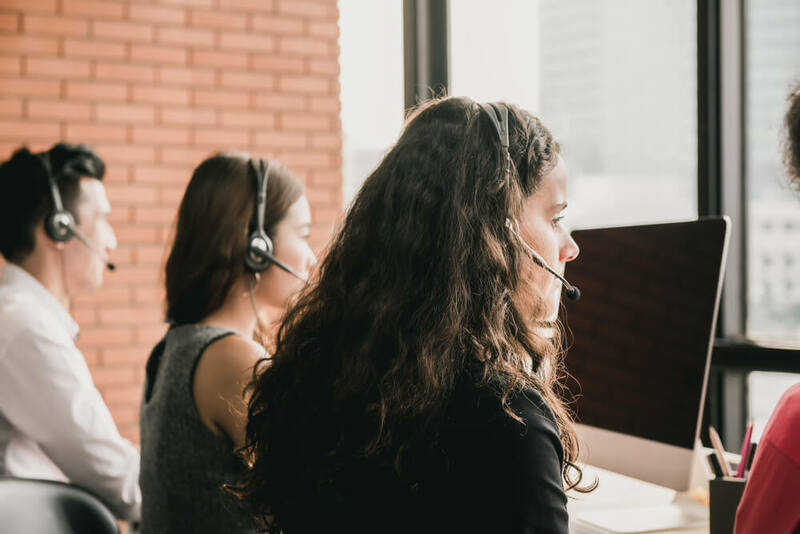 You can, of course, research multiple call center vendors, but the best and first place to start is with your property management software provider. You owe it to yourself to do the research to save your company money, maximize efficiency and reduce stress.